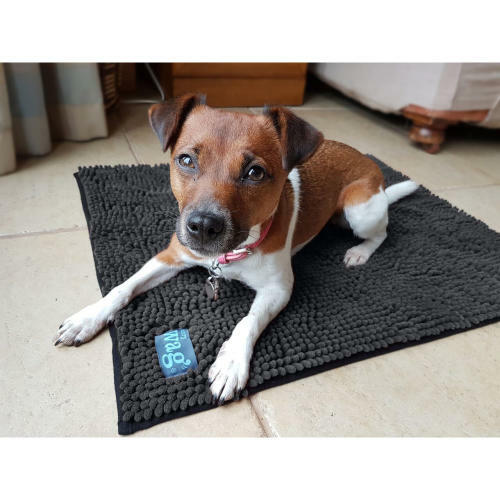 The Henry Wag Microfibre Pet Mat is a highly absorbent mat that been constructed with fronded fabric to effectively absorb the water from your wet pooch! The Henry Wag Microfibre Pet Mat is perfect for using in beds to remove water and dirt from coats and to protect the bed from moisture and harmful bacteria. This ensures that the dog's bed remains dry and clean even after wettest ramble. They can also be used to rub the dog's coat to remove excess water and dirt.